Sierra Madre Real Estate - Sierra Madre homes for sale - Realtors - Agents - Arcadia real estate - Sierra Madre Ca - Sierra Madre California - city information. Embarking on a Residential Real Estate Transaction? Buyer/Seller, Novice/Experienced. Do your homework and find the best possible real estate agent or broker to be your guide. I was referred to the team of Michael and Michelle Paris by an out of state broker who was familiar with Michael and thought it would be a “perfect fit”. It was obvious when we met that Michael had extensive knowledge of the market in the immediate and surrounding areas. Within a few days Michael and Michelle photographed the house and yard. I was quickly presented with proofs of a flyer, postcard and brochure. They were all spectacular! An open house was held on a subsequent Saturday and Sunday. Michael and Michelle set up shortly before and remained past the time announced to accommodate a few late comers and answer questions. I was fortunate to have great results and the house sold within less than a week of the listing. While the home, area and general market were contributing factors – the quick sale and follow-up navigating the negotiations and ultimate closing should be attributed, in significant part, to the outstanding efforts of Michael Paris and Michelle Chen Paris. Thank you so much for everything you did to help us sell my fathers home in Sierra Madre. You were incredibly helpful in providing guidance up front when we were trying to decide whether to put the home on the market or sell directly to the neighbor. After our plan to sell to the neighbor fell through, you were truly amazing. From helping to clean out the home to coordinating repairs and improvements to staging it beautifully to achieving a favorable price, you exceeded our expectations. One reason we initially decided to sell to the neighbor was to minimize complications and simplify the process, even though we would be risking leaving money on the table. But going through you resulted in the best of all worlds! The process was completely hassle free, you kept our family informed every step of the way, you found multiple qualified buyers and you achieved a price that exceeded what we would have obtained with selling directly to neighbor without using an agent. 137 Sierra Madre Blvd. Sierra Madre Ca. We just wanted to drop you a note to tell you how pleased we were that you sold our home so quickly. We were worried that listing our home in December would be problematic and not a good time to sell. But our new home was being built you can’t always predict the timing as you would like. We think the key to the quick sale was your marketing strategy and the lovely photographs that Mike took of our house. The home looked amazing, who wouldn’t want to buy it! And in fact, as you know, we had multiple offers! It is always nice to have options. Anyway, we can’t thank you enough for your professional approach and strong marketing and photographic skills. Our best to both of you in the coming year! 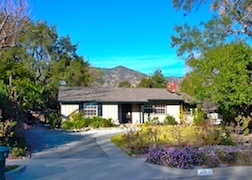 I recently sold my home of 22 years in Sierra Madre. Listing agents, Mike Paris and his wife Michelle, did an outstanding job with the sale and its unique situation. Being that it was still under lease, Mike handled the delicate situation with ease and grace. The house was sold after only three showings and above the asking price. Mike’s attention to detail, focus on getting the job done, communication and industry knowledge was outstanding. I do not believe I would have had the same outcome with another realtor. I have made two recommendations already to friends. After an extremely discouraging experience with another agent, I researched successful agents in my immediate area and fortunately discovered Mike and Michelle Paris. At our first meeting, I recognized their professional and dedicated approach to selling real estate. While marketing my home, Mike secured excellent advertising, held numerous well-attended open houses, and was available to answer questions that might arise in the process. By the time we were in negotiations with the buyer, my initial positive impressions were reinforced many times over. If Mike said that he was going to do something, he did it. And, he did it well. His business sense is solid. His manner is personable. His integrity is without question. What more could an anxious seller in a difficult market hope to find in a real estate agent? Absolutely nothing. I commend Mike and Michelle for their excellent work selling my home and, without reservation, recommend them to anyone considering buying or selling a home. important to finding the right buyer! And you did! this house as it has been loved in the past. Thank you Mike! I am so glad that there are still “Realtor experts” with heart and not clouded ambition. I would highly recommend you and Michelle! easy thing to do emotionally. We hired Michelle and Michael Paris as our agents. appreciated Michelle and Michaels hard-work and professionalism. 320 Wisteria Way, Sierra Madre CA. As you know, we continue to settle into our new home in South Carolina. We have been here for about a month now and keep reminding ourselves to send you this note. As we look back on the experience of selling our Sierra Madre home, and then moving across country in such a short time frame, we think of you as probably the most important player in making it happen so successfully. Starting with our initial meeting we realized that we were so fortunate to have connected with such a wonderful human being. The combination of your professional style and personal character is incredible. Your level of sincerity, organization and competence are, in our opinion, beyond comparison. We are sure you well remember our hesitancy with some of your recommendations, but we were quick to learn that you simply get it right on all aspects of the project. You held our hand through the difficult process of the completion of the home inspection, keeping us focused and assured that everything would work out. We also recall your immediate responsiveness to phone calls or emails and your coming over at sometimes awkward times to discuss issues, rearrange furniture or hang pictures. We could go on, but the story is obvious -- you got the job done with our complete satisfaction. We were blessed to have Mike Paris & Michelle Chen Paris, help us to achieve the kickoff of our retirement plan. Please feel free to share this letter with others, including prospective clients. We will also be happy to talk with anyone on the phone. Mike, we wish you and your family all the best in the future. We hope to see you on one of our future visits to California. Manzanita St. Sierra Madre Ca. I just want to take a few moments to thank you both so much for everything you have done to make my experience with both buying and selling homes as stress free as possible, especially during these very difficult economic times. I know I haven’t always been the easiest client you have had but I want you to know how much I have always appreciated your ability to calm any situation, take the time to explain fully all that I needed to know regarding the issue, and then help me come to a resolution. Your expertise in the business is impeccable. Although I may not have always shown it, I was always comforted in knowing that your understanding and attention to detail would benefit me in any transaction we made, whether I was buying or selling a house, and you have been there with me for both. Your fairness to both buyer and seller made me feel confident that when escrow closed there would be no loose ends or potential issues that could occur in the future and that whatever decisions were made they were fair and equitable for all concerned. Your consistent communication with me every step of the way was reassuring and made the whole process go just that much smoother. If I had a question you would answer it quickly and completely and for the inexperienced person, like me, I appreciated your attentiveness. In closing, I would just like to thank you for making me feel like I was a part of your family. From the beginning I got the sense that whatever the end result, you were always looking out for my best interests, just like you would for any member of your family and that is what ultimately let me know that I was in good hands. In the beginning, I didn’t even know how to negotiate the process of finding an agent but it’s clear to me now that someone must have been looking out for me because it was certainly my lucky day when I found the two of you. Now I not only know who to call when I become involved in another real estate venture, I know who to refer friends and family to as well, and I have learned that having the best representation is the most important decision one must make in order to attain a successful end result. Thank you for being that concerned, understanding and always professional representation for me, I sincerely appreciate all of your efforts. 409 Manzanita, Sierra Madre Ca. 618 Woodland, Sierra Madre CA. Thank you Mike & Michelle ! in contributing & coordinating design requirements with the finish contractor & architect, given the peculiarities of that canyon. Way before it was marketable (bare see-through studs), you were a calming but authoritative voice about what the property needed and didn't need, to optimize it's value. Including doing leg work with the building department, coordinating with my Architect & Engineer. Marketing aggressively at the caravans, and soliciting feedback from other realtors, and reporting results to me on a weekly basis.Tailoring my advertising requirements list to that area. During the offer/counter offer process, whenever I had difficult choices to make you had all the alternatives spelled out, and the necessary paperwork in my email. While interleaving the revisits by building inspectors, and starts & stops by the various utilities. I'm recalling a 2 month ordeal where the electric company was telling us it is connected, while the street cables were not even strung, the inspector communicating it is approved, the cables go in, It gets signed off, then the meter disappears. Another inspector wants the ground rod moved down the hill. When you ultimately stepped into that to get the lights & heat on for showing the house, the Final Inspection Card in your hands, the current buyer was getting rejected by their mortgage company on their first go-round. The current buyer was unhappy that the house was being shown, and went to the 1st open house anonymously. Your wonderful people skills made a huge difference in moving me persuasively & tactfully to act when I had to make a myriad of "challenging" immediate decisions. When I say "challenging", you always had the solution, provided nearly in lock-step with recommendations from my mentors. Thank you for making the sale of my house such a smooth process. Seller of- 618 Woodland Dr. Sierra Madre. Mike Paris sold my father's house in Sierra Madre in 2005 and performed so impressively, I engaged him to sell my own house in Sierra Madre in December 2010 as well. Mike spent considerable time and effort to research the values of both houses very thoroughly and recommended a price for both of them that I felt was appropriate from the beginning. My father's house sold very quickly in 2005 and was purchased by persons from the Los Angeles area, which demonstrated the far reaching advertisement resources he utilized as a member of Coldwell Banker's Realty group. Mike also was able to find a buyer for my own home late last year in just a couple weeks as well and was very helpful in settling on an appropriate price despite a very down market and a slow time of the year. In both instances Mike (and his wife as well in the case of the sale of my own house), demonstrated superb capability, knowledge and wisdom in every step of the way. He provided me with his frank advice and demonstrated his expertise in negotiations with prospective buyers. I was always impressed that he was so energetic and on top of every detail of both sales and every aspect of both sales took place with incredible smoothness and quickness. I don't know how anyone could ask for a more capable and knowledgeable team than Mike and Michelle Paris. Thank you for all you did to help us sell our home. We had two difficult experiences with previous realtors and were quite leery about the prospect of working with another one. From the first day we felt comfortable with you -- your ethics, knowledge, willingness to listen and your commitment to helping us sell our home. I, Patti, especially want to thank you for holding my hand through inspection and ensuing repair process. It was an incredibly difficult time for me and it was so reassuring to know that you were willing to climb into the attic, get on top of the roof, and even bring in the trash cans on days I just just couldn't get home to do it! While the home selling process is not easy, your involvement certainly made it much more tolerable. And what better evidence of your professionalism and success than the fact that our home sold! Thank you. We have already recommended you to a friend who is moving. Please feel free to have your potential clients contact us for a referral. Please find attached the subject letter of recommendation. You did a great job for us and we really appreciated the effort you put into the sales procedure. Much success in your career. Dear Mike & Michelle: We are finally getting settled here in Texas and slowly things are starting to fall in a routine. Thinking back to the sale of our home in Sierra Madre, we would like to let you know how well we thought you handled the whole procedure with all the details. It was done in a business like and pleasant manner. You stuck to your plan and it worked out perfectly. Thanks so much, Mike. 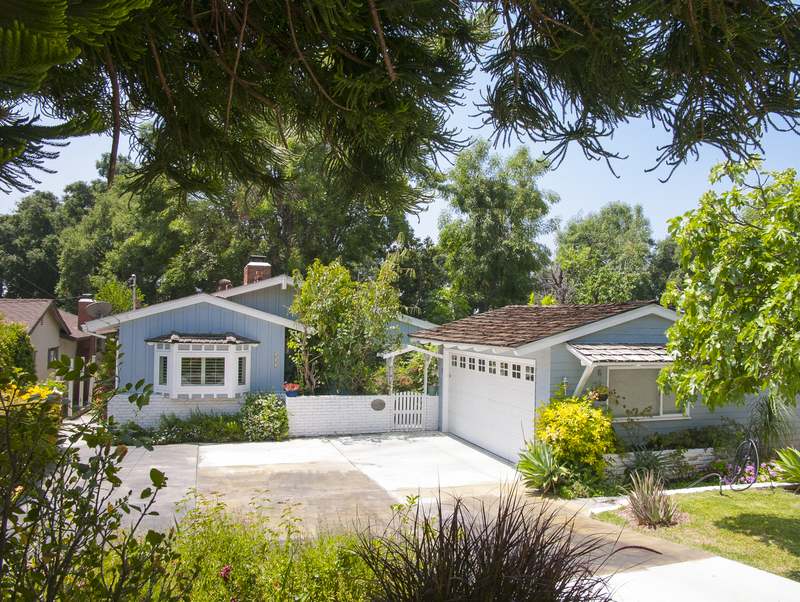 Sellers: 273 Sturtevant Dr. Sierra Madre Ca. Today my mother's home closes escrow, and I wanted to let you know how much my sister and I appreciated the way you handled the sale of her home in Sierra Madre. First of all you managed to get us an amazing price, $25,000.00 over the listing price, and the sale went quickley even though tthe townhouse went on the market over the holidays. You were extremely helpful in handling many extra details. Perhaps even more important to my sister and me is the fact that you were sensitive to the grief and sadness we were going througt over the loss of our mother. Selling her long-time home meant painful finality for us, and you clearly understood the care she had put into it. You were kind, calm, reassuring, and very patient with all of our tears. Your calm professionalism made this painful time much more bearable than we had thought possible. We are very glad that we chose you to be the agent to sell our beloved mother's home. Thank you again for all your work and helpfulness. Judith Todd, Ph.D. Sierra Madre CA. Today is the closing on the house you sold for me in Sierra Mader CA, and I feel so fortunate in having made so many correct decisions, the greatest of which was listing with you. I had a number of difficult problems in the sale of my house in Sierra Madre, California when I lived in New Mexico and had legal problems to deal with first. My local attorney suggested I should list with a responsible realtor located near my property. I had received approximately 50 contacts from realtors to sell my house. Most realtors had submitted numerous offers, which made the problem more difficult. Yours, Mike, was clear and concise with only two contacts. I chose yours and immediately asked if you had a lawyer with which you dealt. You did and I accepted your recommendation and we were off to a good start. You have kept me constantly informed and helped me make many minor decisions about the sale. I still find it difficult to believe you took your own power washer and washed the accumulation of dust from the outside walls. I could never have asked for more consideration from any broker. I shall look forward to the opportunity to heartily recommend you to anyone who has a house to sell even if there are difficult side problems. I am so happy to say thanks and to understand how you can proudly report “Multi-millions in sales”. 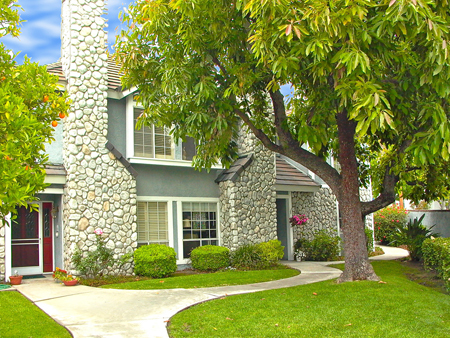 I wanted to write to express my sincere appreciation for your incomparable help in selling my home in Sierra Madre. From the beginning, after speaking with a variety of realtors, you stood out in terms of your initiative, thoroughness, creativity and resourcefulness in preparing to sell my home. 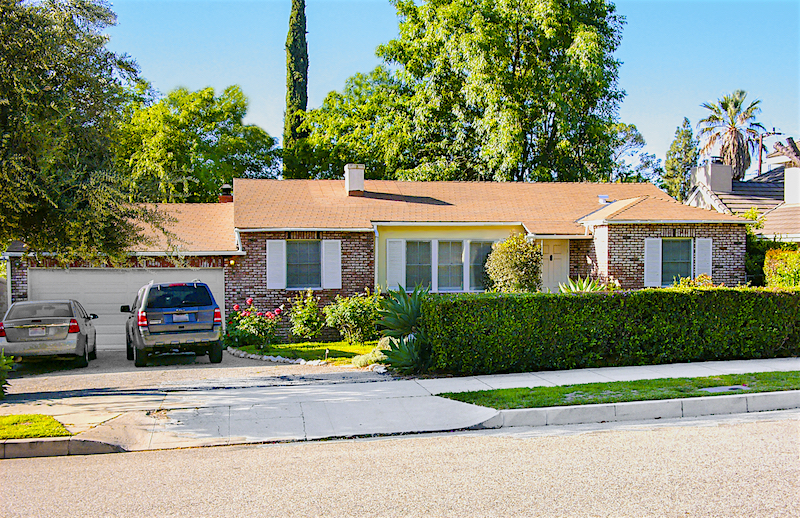 Your review of comparable properties in Sierra Madre was exceptionally thorough and your marketing skills reflected considerable experience in advertising the home. I felt you tag line on the advertising workup was really smart and summed up the property attributes perfectly. It demonstrated you put a lot of thought into the proper marketing of the home. Early on when the first issues arose, you demonstrated a “can do” attitude in addressing them. You observed that although permits had been taken out for upgrades to the property many years ago, they had not been signed off by the city inspector, and as a result, the real habitable space of the home was considerably undercounted in the assessors’ office records. You quickly interacted with the city inspector in Sierra Madre, and were able to have him sign off on the permits with some minor issues taken care of. As a result, we were able to market the property with considerably more living space than would have otherwise been possible, resulting in a purchase price considerably higher than if this issue had not been effectively addressed. I strongly doubt based on the cursory evaluation of the home by other prospective realtors that they would have been as proactive in addressing this or nearly as valuable in making it happen. You didn’t miss any detail of the property and helped me prepare the home to best present it to prospective buyers. 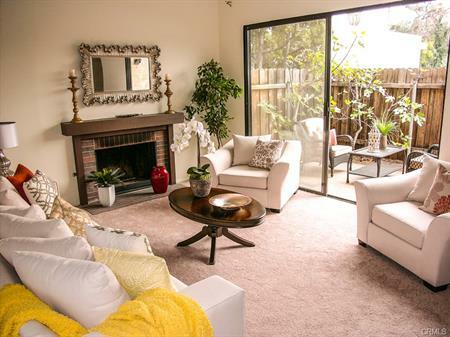 You were also aggressive in obtaining a large number of realtor walk throughs and in conducting an open house that attracted a surprisingly large number of interested buyers. Your experience in helping me address issues that arose upon the buyer’s official inspection report was also greatly appreciated. You negotiated which items to address with the prospective buyer’s realtor and achieved a good balance of fairness in the process. The results speak for themselves. Despite the downturn in the market, you were able to attract a buyer that yielded a strong price for the home nevertheless. 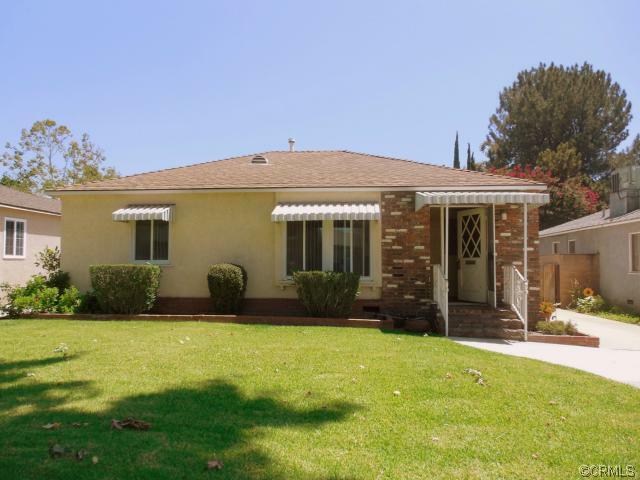 In reflecting on the quick sale of the home in about one month despite the lagging market, it was the exceptional advertising outreach of Coldwell Banker that attracted the eventual buyer from the Wilshire District of downtown Los Angeles. No other realtor that I interviewed was able to provide the exceptional visibility and reach of your advertising. Because of your enormous help, obvious experience, capability and total integrity throughout the process, which can be stressful, I am deeply appreciative and would not hesitate to recommend your services to any prospective seller. You may use me as a reference any time. Steve Albu: Sierra Madre Ca. Coldwell Banker Real Estate Co. Thanks again for being such a great realtor and newfound friend. attitude was great. You made all the right moves to ensure a smooth transaction in a declining market, and facilitate our multiple levels step up purchase in Sierra Madre. You kept our spirits up when we had to back out of several deals due to our buyers backing out. You kept us focused on our purchasing goals and ultimately helped us close on our purchase of a really awesome historic house at a great deal. Your solid advice, strong drive, and genuine caring exemplified what we were looking for in an agent. We are extremely pleased with our purchase and your services. 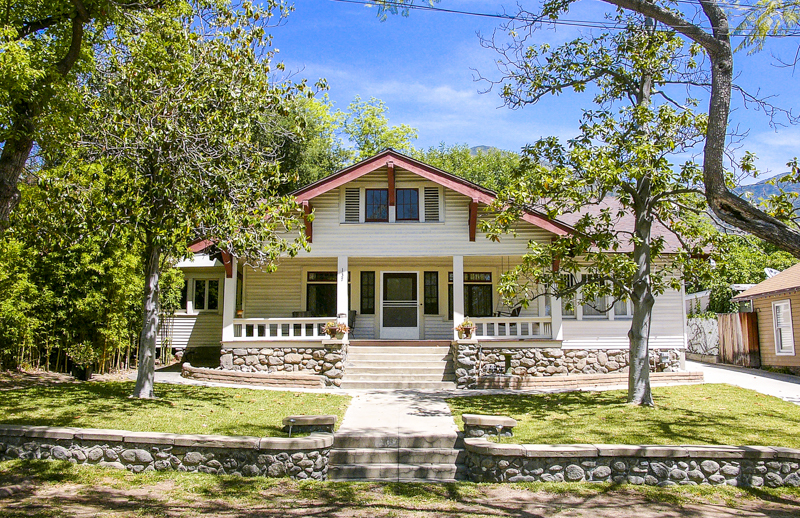 The house is everything we wanted and a fine example of historic Sierra Madre. 240 Adams Street, Sierra Madre Ca. Victoria Lane, Sierra Madre CA. We are blessed to own the Sierra Madre home we now have, and we wouldn’t have found it without our Realtors Michael Paris and his wife, Michelle Chen. As first-time homebuyers we weren’t sure how to go about finding a home we liked within our budget. Then we met Mike and Michelle. We made a connection with them right away. They were honest and direct. They put us on the right track to getting the home we have now – and we love it. They worked diligently to find our perfect fit. We visited homes in several different areas and we were impressed by their intimate knowledge of each area. They gave us great advice during each phase of our home buying process. Their knowledge, professionalism and patience exceeded our expectations. They are experts who we trust completely. What we most appreciated about Mike and Michelle is that they really cared about getting us a home we loved and could afford. They took the time to get to know us, and helped us find not only a home, but also a neighborhood that is perfect for us. And that’s why we now consider them friends we’ll have forever. 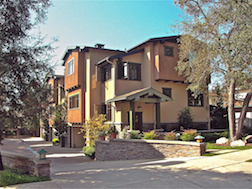 "Michael Paris acted as the listing agent for us when we recently put our home in Sierra Madre up for sale. He was extremely professional, diligent and provided excellent service. He was also very helpful in navigating some very complicated building permit issues. We highly recommend his services for anyone requiring assistance in buying or selling a home"
"I had many interviews with Realtors before you, I just felt like another number to them. You were very through and commited to your job, which made the whole process of the sale of my home a lot less stressful than it could have been. Thankyou for all you've done and for your professionalism." 249 Grove St. Sierra Madre, CA. David and I wanted to thank you very much for helping us find our first home, and we greatly appreciate your honest advice, support, and encouragement through the entire process. Thank you for not trying to sell us every home we looked at, as some realtors do. We liked the way you let the home sell itself and never tryed to push us into making an offer. We are grateful for your honesty and for looking out for our best interests. 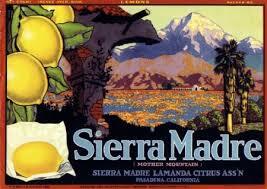 Kris and I wanted to thank you again for all your efforts in helping us find our Sierra Madre dream house. We really appreciated the fact that early on you were willing to help us find a rental property if the right house did not come along. We thought it was going to require a lot of driving around over the course of a year but you helped us find it over just two house-hunting trips. Your experience and prep time certainly played important roles. Also, your suggestion to use Larry Butler as a lending broker was a good one as we structured the financing quickly and in a way to meet our short-term needs. We would certainly be happy to recommend you to anyone buying or selling a home. "Michael Paris is a dynamite guy, who's really been attentive to me and my impending needs. He keeps in touch with me, returns phone calls timely, has been accessible throughout and knows how to work with intense people like me." You'll find below a copy of the letter I just mailed to your home address. Feel free to use it to market yourselves. I am so pleased with how everything has turned out. You and Michelle made all the difference. Next time someone wants to hear from a happy client, have them call me -- hand's down. You and Michelle are shining examples of what’s best about real estate agents. First, you salvaged a deal that could have quickly gone sour, thanks to your swift action and ability to communicate with the buyer. When the buyer learned that my house had a problem with the foundation, she could have easily backed out. But you and Michelle kept the deal afloat with your calm demeanor, ability to negotiate, and identification of a high quality company to evaluate and repair the foundation. You two saved the deal – without question. For that I am deeply grateful. Second, you steered me to reasonably priced contractors to arrange for work on my house to ready it for sale and to respond to the problems found on inspection. Every contractor to whom you referred me was prompt, responsive, reliable, and reasonably priced. Since I live far from the home I was to sell I had no idea who to contact for repairs. Having you on my side to identify contractors made the selling process so much less daunting. It saved me hours of headache and a bundle of money. Third, you and Michelle are so trustworthy that I felt comfortable taking your advice about how to deal with each of the vexing issues that arose during the sale. Whatever you advised, I knew that your guidance was right and I took it, without second-guessing. All sorts of unexpected things go wrong during the selling process. Knowing whom I could trust made all the difference. I followed your advice and ended up clinching the deal. I am so relieved – yes, relieved – that I found you. If I had ended up with another realtor, I am convinced that the sale of my house would have fallen through. Instead, the sale went through, as testimony to your superlative selling power. Thank you ever so much and please tell prospective clients to speak to me if they want a recommendation. You and Michelle are tops. In my 18 years as a Real Estate Broker I have dealt with many different agents, however, you are the best agent I have ever deal with. Professional, knowledgeable, efficient and so many other qualities that fit your profile. Thank you for your collaboration on selling 4430 Richard Circle. 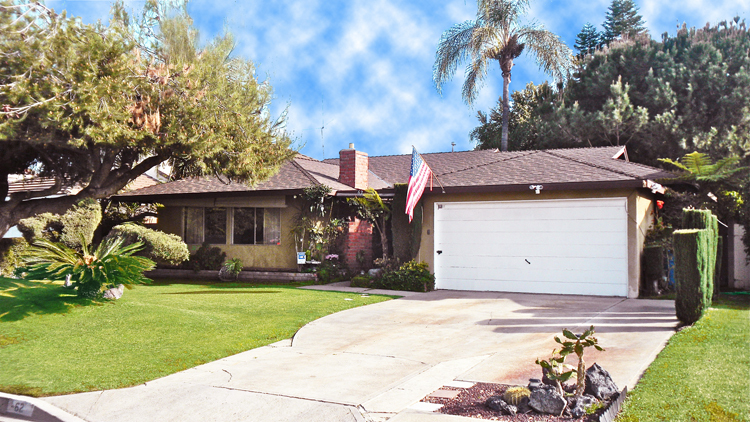 It is my pleasure to recommend Michael Paris and Michele Chen, a husband and wife real estate sales team with Coldwell Banker in Arcadia, who sold our Trust's San Marino home at 440 Winthrop Rd. for $1,563,000 within five days of listing it. Additionally, we had a firm back up offer that was also reassuring. Michael's attention to detail was outstanding (he and Michele even watered the potted plants while the house was in escrow). His quick responsiveness to my questions was always appreciated and enabled a smooth and timely close. They knew the San Marino market and kept me up to date all the time. It is my pleasure to recommend this great real estate team. How likely are you to recommend this agent? Mike & Michelle Paris were a pleasure to work with, got offer on home first day it was on market and handled entire transaction without a flaw. Mr.Paris took extra steps to bring un-told amounts of paperwork to our home for signatures, un-heard these days. The Paris's also assisted us locating our dream house out of state and assisted us, in- person, dealing with the out-of- state agents. Outstanding representatives of Coldwell Bankers. I want to say Thank you so very much for your outstanding service! When we started, we did not have any idea, who would be the right person to help us in our home search, back in March of 2013. To begin, I did a search on the web and you came recommended to me as a consummate professional! I am always a little suspicious of these things but I had little else to go on. So, we exchanged many emails and it was a long time before we meet. I imagine you were wondering if we were really for real. Before we even meet, you worked with Amy on that small farm property and kept us in the running down to the wire. That in itself was impressive as you guided Amy along the way. What impressed me the most was your trustworthiness, skill and demeanor, I felt you put Amy at ease and were able to convey her as a worthy candidate to potential sellers. And I could tell that you were not there just to make a sale, but to find the right property, one that would fit Amy’s needs and be in a safe neighborhood. We both know that today the market is very dynamic, right now and I was beginning to wonder if finding something for Amy was at all possible. But with the grace of God, and you as our guide, it happened! In the end, I had to count on you countless times on your experience and professionalism in getting the job done. I couldn’t be there at times and you filled in for me. You made suggestions and really scrubbed the property for me. You were my right hand man! Mike, we could not have done this without you. Mike, it’s not often in life that one encounters someone of your caliber, but we are both very, very grateful. The house is ideal for Amy, and meets my highest expectations. WOW! THANY YOU VERY MUCH! We have just finished the first week in our new home, and now that the dust has settled a bit, we wanted to extend our thanks to you as our realtor. Mike, we were most satisfied with your efforts on our behalf. Your knowledge of the market resulted in our receiving a price for our home that was substantially higher than the asking price another realtor had suggested to us, and our house sold in just three weeks. You were courteous and professional with every encounter, and we appreciated your personal integrity. Your promptness in returning calls was excellent. You kept in constant communication with us, which was all the more remarkable because while selling our house your wife gave birth to your first child, and then had an appendectomy shortly thereafter. Throughout those personal events your commitment to us never wavered. We found that quite impressive. It was a great pleasure working together with you, Mike. We would be happy to give a good word on your behalf to others interested in having you serve as their realtor. to answer any and all of the many questions that we had. We are settling in our new home slowly but surely. This has been an incredible time in our lives and we want to thank you from the bottom of our hearts for all your guidance and stellar experience in selling our (beloved) townhouse. You sold our home in record time! We never expected you to pull off such a feat in such a questionable economy. Not only did you sell our home so quickly, but you chose solid, qualified buyers who really expedited the closing process. Mike- Your experience and guidance were solid all the way through. You negotiated everything on our behalf as if the sale was your own. Michelle- your demeanor and communication skills are second to none. Your personality is delightful! We enjoyed meeting your awesome son John. You are not just a super team, your a super family! Thank you again for everything- it was an experience we’ll never forget. You both were super and we’ll always be grateful for your excellent assistance and sound counsel. Please feel free to have your clients contact us for a reference. We’d love to tell others about your skills and exceptional knowledge- we’ll never forget this experience and how you helped make our move back to Illinois a reality for us. 119 North Mountain, Monrovia CA. I met Mike Paris in 2003 at which time he coordinated the purchase of my first home. Four years later, I again called upon Mike to help me sell my home and purchase a new one. Little of this process would turn out to be routine and the ultimate successful outcome would not have occurred had it not been for Mike’s vast knowledge of real estate procedures. Based on Mike’s market analysis, we strategically priced my condo in such a way as to garner an immediate, above list-price offer. At the same time, Mike helped me find a new property. We began concurrent escrows and Mike worked out the details so that we could complete concurrent closings. However, the buyer of my condo inexplicably back-out, forcing me to cancel my offer on the new property. Fortunately, Mike had already begun working on another offer on my condo at full list price, but the property I had initially wanted sold to another. Recognizing the need for timeliness, Mike arranged for viewings of every several properties, probably about 30 homes total. 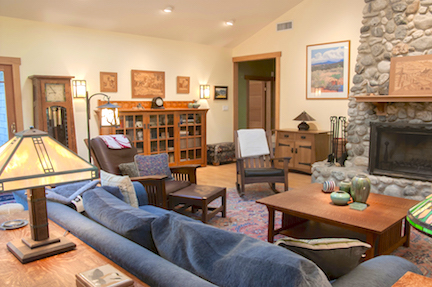 I eventually found the home I wanted, and that’s when Mike’s expertise really became evident. Not only was he successful in coordinating concurrent closings, but he was able to do this within an extremely short escrow period – something like 10 days. Moreover, Mike helped negotiate a below-list-price deal on my new home. I presently live in a beautiful home and feel that I received the best outcome in both the sale of my condo and the purchase of my new home. I would estimate that Mike and I talked no less than three times a day throughout all of this. He was always available to field my sometimes rudimentary questions and explained things in terms I understood. Hi Mike …thanks for the updates… thanks for all you did to prepare the house for sale and bring it to a successful sale… my sisters and I are very appreciative of your efforts and counsel:-)) To whom it may concern: I employed Mike Paris & Michelle Chen Paris of Coldwell Banker as my realtor to assist in the sale of my deceased father’s home, in the Lower Hastings Ranch neighborhood of Pasadena spring of 2010. I interviewed several realtors and was impressed with Mike’s knowledge of the area and his overall energy, professionalism, and attention to detail. Mike was a huge help to me as I live 30 miles away and he handled a number of the small but necessary items needed to get the home ready for sale and to ultimate closure. He is a very good communicator and kept me well informed of all issues, offers and the status of all negotiations as they progressed with several parties. 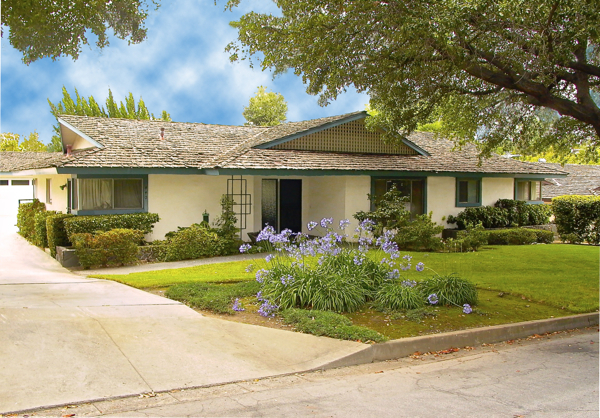 His intimate knowledge of the city of Pasadena requirements proved very helpful and he dealt with all inspection, occupancy, and closing requirements in a timely and complete manner. Mike knows his markets and his business very well and I would recommend you strongly consider him to assist you with the sale of any property. Feel free to call me directly at 310-453-7303 if you have any specific questions. Henry K. Jordan: Successor TrusteeWells Fargo Capital Finance: President and Chief Operating Officer445 N. Michillinda Ave. (Lower Hastings Ranch) Pasadena Ca. Diana and I wanted to give you our sincere thanks and provide you with a referral letter so that future potential clients can understand what a terrific Realtor you are. Diana and I were in desperate need of a home upgrade due to family additions since the purchase of our first home. Mike quickly developed a specific plan to help us get our home in good condition to sell, developed an aggressive marketing plan, and reacted quickly to sentiment during open houses to keep our home priced competitively in a bad and falling housing market. We often wondered why Mike kept working so hard to keep interest up in our home even when we went into our first escrow, but quickly understood when we fell out of escrow. Mike had us in a second escrow in a matter of days. We cannot thank you enough for your hard work and know we would still be sitting in our first home, chasing the market downward, with a lesser realtor. Secondly, Mike kept up the hard work taking us to countless homes to find the one that would be our next home. Mike got to know our family and provided us with excellent council regarding which homes deserved another look, and while homes were unworthy of serious consideration. Once we found the right home, Mike helped us get the best possible price on an over priced home, leveraging the slow housing market that was previously our enemy. It is so rare anymore to come across a professional who takes their profession seriously and works as hard as Mike does. We believed that he felt personally responsible for finding us the right home and was willing to perform any task to see it through (including driving home from vacation to write the offer for our new home). Mike, we cannot thank you enough for your efforts. Greenhill Rd. (Lower Hastings Ranch) Pasadena Ca. Armand & Sharon Baltazar: Pasadena, Ca. I have just got my new address and would like to inform you at the very first time. Since I started to work with you from the beginning of this year, you have become more and more like a friend to me rather than just a real estate agent. I had to move my home twice during this year, and you were one of the people who helped me the most to get through the difficulties of these transitions. Aside from the high level of professionalism and the quality of integrity that you have demonstrated through out of your work, I was most impressed with the effort you put in to understand what was that I really looked for in searching the home for my family of three. Even though I came from a totally different culture background, I did not feel this difficulty (which I usually felt when talking to many people who speaks English only) in communicating with you. This is why I decided to go with you without switching to an agent who speaks Chinese as well. As a result, you showed me the perfect house in San Marino in less than two months, kept making effort to impress the seller even when we were almost losing, and finally won the deal among 6 other competitors. It was such an excellent job! You are not only a competent real estate agent, but also a trustful and caring person. When I had to make the decision of moving out of our new home because of some unexpected changes in my son’s preschool arrangement, you offered your help to put our house on market for lease and acted promptly. I believe the amount of time and work you had to put in equaled to those of selling a house, but you never delayed anything on us out of your busy schedule. Again, as a result, you got us a lease agreement in one week with desirable rental price. This time, it was such a kind and warm help! In one word, thank you for being my friend in real estate business. I really appreciated your honest, thoughtful work and all your other professional qualities! Ying Ma, San Marino, CA . We have worked with Michael Paris twice now, and have never met a better realtor. The first time we met Michael was over the Internet. We were living in Texas at the time, and look to rent a house in the North Glendale/La Canada area. We needed to find a website that would allow easy access to the MLS, and wwww.mikeparishome.com was the best by far. We were so impressed by his website’s organization and ease of use, we decided to call him and ask for some assistance. He was friendly, accommodating and made sure that the one weekend we were in town, tours were set up and he found us a house. The second time we used Michael was when we were ready to stop renting and buy our dream home. With three children and a physician husband, I needed all the help that I could get. I simply called Mike and told him what we wanted and, that day, he sent me several listings by email and was working on setting up tours for the following weekend. On that tour, Michael found us the gorgeous La Canada estate that we now call home. In all transactions Michael was organized, thorough, and personable. He offered us an objective viewpoint on each house we toured, thereby helping us with our decisions. We found him to be knowledgeable about aspects of realty that surpassed just the legalities of buying and selling properties, and furthermore we were consistently impressed by his willingness to research questions he couldn’t answer right away. He was always expedient in returning our calls, searching for properties, and setting up tours. We would (and do!) recommend Michael to anyone, without reservation. No matter how large or small the transaction, he is dedicated to making his customers happy. He is also a wonderful husband and father, and we are proud to be able to call him a friend. Thank you for helping us to find (and actually buy!) our wonderful new home. We were definitely influenced by the homes you introduced us to in the very beginning of our search, that enabled us to recognize "the one" thank you again and again! Hope all is well! Selina and I are writing to you for your help on buying our house. We entered the market in very competitive time. Demand was much higher than supply, and to make it tougher, there were lots of cash buyers. After a few months of searching, submitting offers and getting rejected, Selina and i really thought about quitting. But you kept us in the hunt with the knowledgeable advice and motivation that only you can provide. Unlike many realtors who only tell their clients the positives of a house in order to get a done deal, not only did you understand our needs, you also informed us of the negatives, such as low potential for appreciation; property is not built to standards; and school district is not ideal, etc. We can honestly say that you truly work for the best interests of your clients'. With the house we bought, Selina and I didn’t think we had a good chance because we were up against some cash buyers with zero contingencies. But you told us to write a personal letter to the sellers, and provided us with great ideas on what to write in the letter. The letter really helped us connect with the sellers. In addition, you used your outstanding people skills to convince the listing agents that we're qualified buyers, which helped lessened the buyers' concerns on potential escrow delays. Thank you for all your support and efforts in finding us our new house. Since the beginning of our search, you were extremely helpful in consistently sending us information on prospective homes. You were attentive yet not overly aggressive. When we finally made our decision, you went out of your way to make things happen quickly and efficiently. Your efforts were well over 100%, whether it was driving to Reggie’s work or the courthouse during jury duty, to keep the ball rolling. And through your efforts, the purchase of our house went smoothly and closed within the month. We are grateful to you and Michelle for your help. And we would gladly use your services again. We look forward to continuing our friendship. Thank you. We would like to take this opportunity to express our complete gratitude with the integrity and professionalism displayed by Mr. Mike Paris. We were undecided on selling our condominium and buying a larger house. We were skeptical of the market prices and whether or not we could locate a home within our price range. We met Mike Paris at an Open House. He spent a generous amount of time with us explaining the pros and cons of buying and selling in this market. We decided to move forward with the sale of our condominium putting our faith in Mr. Paris that he would locate us a wonderful home at a fair price. Our condominium sold within days and we were ecstatic at the price Mr. Paris obtained. He diligently began working on locating us a new home. We viewed several properties that were within our price range and were able to secure the perfect home at a very reasonable price. This task was not easy as the sellers were not motivated to move. It took sharp negotiation skills on the part of Mr. Paris to secure the home and to obtain a closing date that would be suitable for our situation. Our experience with Mr. Paris and Coldwell Banker has been extremely positive. We would highly recommend him as an agent who gives 110% to his clients. Michael Paris helped us in buying our first home. He was extremely professional and provided excellent service. He was highly motivated and kept right on top of things having to do with our home. Mike’s advice and thorough knowledge were very helpful in choosing the home that would be a perfect fit for us. We appreciated his honesty, patience and guidance through the whole buying process. When making such a huge purchase it was refreshing to have a realtor that we could trust rather than someone just trying to make a sale. We would highly recommend his services for anyone who needs assistance in buying or selling their home. Great job Mike, we will recommend your services to all our friends! Mike and I would like to thank you for assisting us in buying our first home. This was such a crazy process and experience, but both of you made it all more bearable! We would like to commend both of you on your hard work, experience, and "top notch customer service" you extended to us in this home buying process. Thank you for always promptly returning my calls (no matter what time or crazy questions I had). Both of you are excellent realtors that I would highly recommend to all my friends looking to buy a home. I have given a few friends your business cards. Please take care of them, like you have taken care of us! Thank You: Mike & Michelle! Things finally came to an end. It's been a great experience working with you, You were patient through the whole process and gave us good suggestions. We've also learned a lot from you that will help us in future purchases. We will definitely keep you in mind when we look for us next house. Mike Paris started his career in real estate in 1999 and was promoted to Senior Residential Sales Agent at Coldwell Banker in 2005. In 2013 he became a Coldwell Banker "Previews International" luxury home sales specialist. By 2015 Mike had sold over $150,000,000 in local residential real estate. In 2013 Mike was ranked within the top 2% of Coldwell Banker real estate associates achieving “International Presidents Circle” distinguished achievement award for sales performance. This brought Mike into the top 10 in an office of over 110 Coldwell Banker agents. The overwhelming amount of written testimonials, letters of introduction and recommendation from Mike’s clients is a testament to his integrity and professionalism. Referrals, recommendations and repeat clients represent up to 75% of his real estate business. Mike is a California native, growing up in the equestrian Sunny Hills Ranch area of Fullerton, Orange County CA. Mike was raised with strong American values and work ethics from high achieving parents. His parents were honor students at CAL Berkeley and his father completed his graduate work at MIT and Harvard. The work ethics passed down from his family, is what Mike credits as the guiding light that enabled his success in business. Mike with his wife Michelle (Mike's full-time real estate team assistant) have lived in the Village of Sierra Madre California for over 20 years. Before entering the real estate profession in 1999 he spent 20 years in the motion picture and television industry, the last 4 of those years as a full-time employee of Eastman Kodak's “Professional Motion Picture Imaging Division”. Mike’s years at Kodak provided him with seasoned experience in Kodak digital science, sales, marketing, contract negotiation and computer information systems. But... Mike’s most important skill is his superior ability to get difficult things done successfully through dealing with people. In choosing a real estate agent, you should know the ethics, experience and credentials that the agent has to offer. Mike will be honored to provide you with over 45 letters of recommendation & introduction from his real estate clients. ©Copyrighted 2008 -www.MikeParisHomes.com- Sierra Madre - Arcadia Real Estate. All rights reserved. Residential Homes Sales - You Can Expect Quality Service From Start To Finish!